“The Folk composers” is a book series in which each issue is dedicated to a folk composer and includes some of his most popular songs. 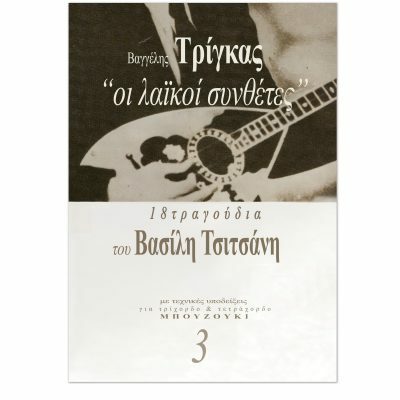 Through this series the personal style of each composer is brought out not only regarding the melodies of his songs but also regarding his personal style in playing the bouzouki. It is very important to understand that all the songs are written in music sheets, exactly as they were played in their original recordings. Moreover, in the music sheets one can also find the taximis (improvisations) that accompany many of the songs in the original recordings.